In my role as a clinical psychologist, it has been imperative to continually expand my conceptual framework, integrating various diverse fields with my psychological training. Theology and philosophy have long been a fascination of mine and studying them has enriched the way I view human behaviour and what motivates it. 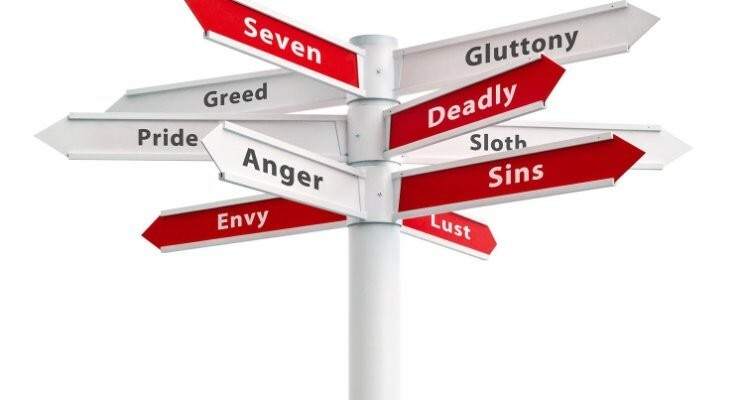 In the Christian tradition, the seven deadly sins refer to seven vices relating to our core human passions or desires. These vices speak to our most instinctive drives, hence their relevance to understanding human behaviour and motivation. Psychospiritual systems of psychology propose that these seven sins, vices or passions can help us cut through to a deeper understanding of human behaviour. Take the example of pride. A vice which includes an exaggerated sense of self-importance coupled with an unwillingness to admit fault. In business settings, pride can manifest more subtly as the “martyr syndrome”; employees who are self-sacrificing, refuse to delegate and eventually burn out, often leading to hostility, cynicism and resentment toward the organisation they work for. A “prideful” staff member with a “gluttonous” superior (always asking for more from a person who just does not know how to impose proper boundaries) is a common personality dynamic that can be quite costly for businesses in terms of lost productivity, high staff turnover and mental health burden. Although the seven deadly sins are not part and parcel of mainstream psychological frameworks and the language used to describe them may today appear irrelevant in our secular society, they nonetheless powerfully elucidate some of the core emotional drivers of human behaviour within the human family. Is there a deadly sin that is your blind spot?